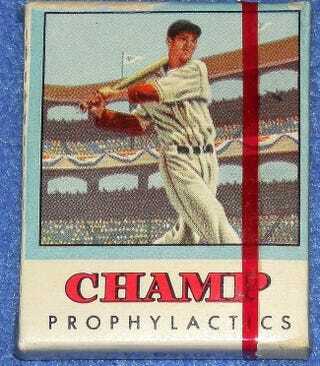 Want To Buy Some Vintage Condoms With Ted Williams's Face On Them? Take a look at what is likely National Hygenic's most infamous product: a brand of condoms released in the 1950s that were unwittingly endorsed by Ted Williams. And now you can own a pack for just $99. According to the description on the eBay page where these condoms are being sold, Williams had no idea that his likeness was being used to hawk rubbers back in 1950. National Hygenics apparently stole his image from a Topps baseball card and slapped it on their condom packages, because who wouldn't want Teddy Ballgame on their side when trying to seal the deal with a dame?